See what Are Others Saying About Us! Don't take our word for it! Check out reviews online about our office. 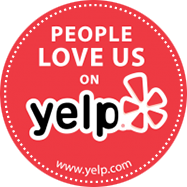 Yelp, facebook, google, and other sites have reviews that were submitted by our patients. We don't have any control over reviews but that's a good thing. We are proud to be the best reviewed office on the Monterey Peninsula! I was referred by a co-worker, as I'm new to the area and needed a new dentist. Just had my first visit today and now I know why my co-worker recommended him! EVERYONE is so friendly, Jenny did my cleaning, was super friendly, explained everything really well, showed me my x-rays, pictures they took, and pointed out problem areas, etc. really well and planned out a "treatment plan" for me to get my oral needs met, within the realm of what's covered in my insurance! And even said, whatever isn't covered this year, they'll prioritize and just work down the list and continue with the work next year! So awesome. I really enjoy the calm, clean atmosphere, as well. Would highly recommend. Love Dr Brown and his staff! He is very personable and he has a gentle touch. They have always been on time for my appointments and are very accommodating to ensure your comfort level is high. If you are looking for a dentist please stop your search and call Dr Browns office to schedule your appointment. You won't be disappointed. The best dentist I've ever been to! I've had some other experiences at different places but finally I've found someone I trust to do good work and tell me the truth! !